Members of the Northeast Passage youth sled hockey team showed what it’s like to be an athlete with a disability by documenting their experiences through snapshots and captions of their everyday lives. By taking and describing pictures that chronicle their experiences, athletes are helping researchers analyze the importance of sports and recreation to individuals and the greater community. In the research project “Through the Lens of a Camera: Exploring the Meaning of Competitive Sport Participation Among Youth Athletes with Disabilities,” eight youth sled hockey players took pictures on and off the ice over a six-week period. "Facilitating social change and promoting inclusive opportunities requires teamwork and collaboration across disciplines," says Sara Rainer, health management and policy graduate student and project director at the UNH Institute on Disability. "When there is shared vision of health equity and cultural competence, there is opportunity for collective action." The inter-professional College of Health and Human Services research team was co-led by Semrya Aytur, associate professor of health management and policy, and Patricia Craig, associate professor of recreation management and policy, who mentored Rainer and recreation management and policy graduate student Laura Hapke. Key members of the research team included Matt Frye, clinical assistant professor of recreation management and policy, Mark Bonica, assistant professor of health management and policy, and Matt McGilvray of Northeast Passage. The team combined expertise to investigate and synthesize two perspectives: the public health perspective, which focuses on the multiple levels of influence that affect population health, and the therapeutic recreation perspective, which focuses on intra-personal, person-centered aspects of participation. Using the technique of PhotoVoice, athletes between the ages of 9 and 12 were able to share more than just photos; they were able to illustrate their thoughts, feelings and aspirations in the captions underneath them. Participants took pictures that represented their community concerns, assets, health barriers and enablers. Many of the pictures document sled hockey games and sport-related equipment. Others describe the pride athletes feel because they are a part of a team. Other photos delve deeper and tell the story of family sacrifice related to traveling to medical appointments. 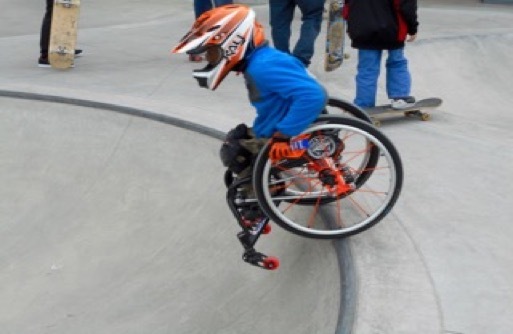 Many reveal the obstacles that athletes with disabilities continue to face in their communities. "We are not treating our subjects like ‘lab rats’; rather, in this research paradigm they are empowered through the process itself,” Aytur explains. The researchers decided to use PhotoVoice as a methodology because it empowered the athletes to be a part of the process. Not only did youth get to take their own pictures, they also were able to choose their favorites and discuss them as a group. This type of empowerment very much aligns with the values of both departments, Aytur says. Craig explains that the researchers looked at three major themes when they were reviewing pictures and captions: sport participation, social networks and positive youth development and perceived freedom of leisure. In exploring sport participation, the researchers looked at how often — through captioning or focus group discussion — a student’s photo showed an image or text that revolved around their competence in a sport, showcased their skills or showed how being an athlete shaped their social image. In addition, they looked at how the photographs showed teamwork and the athletes’ commitment level to their teammates, coaches and volunteer staff. "They expressed what it was like to meet other youth with similar disabilities, travel and meet people from other teams, states and, in some instances, other countries," Craig says. "You get to see their confidence growing, and see them participate in activities with their peers with and without disabilities. These examples of social capital, Craig explains, can collectively raise awareness and seed the need for social change at a broader level. Aytur adds that she would love to expand this research to spark a broader dialogue on this topic with a wide range of community partners. "We can then identify barriers and think of relatively uncomplicated ways to address things. It’s important to understand different points of view and think about the problem in a different way," she says. After youth athletes selected their own photos, they discussed their selections among their teammates. Their most frequently cited barriers to sports participation included intra-personal barriers, or the feelings that prevent one from participating, followed by community and school-level barriers. Conversely, the most cited enablers of participation included adaptive sports equipment, supportive community environments and family support. "Results show that participating in sports has a really positive impact in the social realm and also reaps public health benefits,” says Rainer. “There is that getting moving and getting active piece, but also youth participation in sports increases self-efficacy, which may promote a commitment to physical activity throughout the lifespan." Northeast Passage, an adaptive sports program of UNH, fills a gap for area student-athletes and adults with disabilities. The organization offers competitive sport teams as well as a wide range of recreational sports. Through the TR Empowering Kids or TREK program, Northeast Passage also provides school-based programming for youth with disabilities who are transitioning out of the school system and moving toward independent living in their communities. Under Section 504, federal law states that school-aged children should have equal access to extracurricular activities such as club, intramural and interscholastic sport opportunities at all educational levels, but many do not. "There are still constraints in expertise, training and equipment,” Craig says. "Legislation is not consistently being implemented at the school level, and there is limited policing of the law." Jill Gravink, executive director of Northeast Passage, says the PhotoVoice project really allowed the athletes to tell their stories in a very personal, unique way. 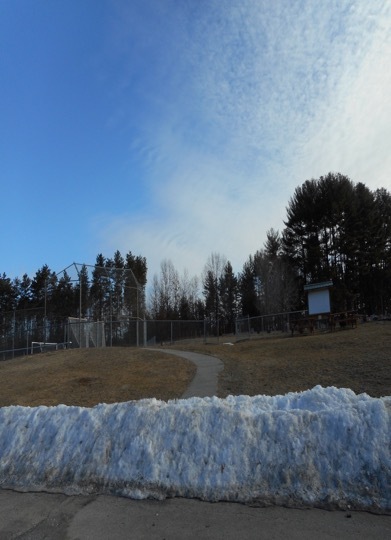 Since Northeast Passage has been serving athletes and the community, it has helped to close the gaps in recreation for many students and adults. But there is more work to be done. Sports teach children how to work as a team, how to take turns and how to win and lose — skills not all children automatically learn if they don’t have the opportunity to become a part of a team. "It’s critically important to get the message out about the importance of creating the same opportunities for people with disabilities," Gravink says. "We as a society haven’t given them (students with disabilities) an opportunity to use the same skills as their peers. Listening to the voices of these kids who are having these experiences, I hope it will show how important it is for kids to have the opportunity to play sports." Gifts to the university provide critical support for students, faculty and programs and help create opportunities like this. To support an area that’s meaningful to you, visit unh.edu/give.